Here are the answers to some of the most common questions that I get asked. How do you handle information overload? I have found that information overload usually results when people have purchased or downloaded so much information that they don’t know where to start to go about implementing it. This creates a vicious circle. You think you don’t know enough because you don’t know where to start and so you keep looking for more information. The best thing to do is to try one system or plan and one only. One that is proven and successful. Forget the quick rich systems. They don’t exist. You need to be building a business with a solid foundation based on consistent results not luck. Decide who you will follow and learn from, get the information you need to in order to get going and stick to it. Don’t get side tracked. Create your plan of action and focus on that for at least 3 months. It takes time to build a real online information business. When you focus on creating products rather than buying them, you automatically remove information overload – you’re creating it not reading it! Obviously there are times when you need to do extra research and increase your knowledge and experience in order to provide expert training to others but only do so when you need to. If you have a plan to follow then you will know what you should be doing each day and this helps to keep you focused. As soon as you lose focus you are vulnerable to accumulating more information. How To Improve My Focus? How much time do you have each day to work on your online business? If you don’t know exactly how much time you have available to you then you are never going to know how to focus. Where are you now and where do you want to be – in terms of your online business? If you don’t have any goal you’ll never to able to focus in on what needs to be done. What is missing from reaching that/those goals? What things need to be done in order to reach your goals? How long do those tasks take? What should you be focusing on in your online business? In it I give an example of how to break down a yearly goal into weekly tasks. How do you know if a product has good information to follow? Does the author or product creator instruct you how to create value for others? Having an online business is all about giving – not taking. Are the things that they teach you ethical or are they using devious tricks to gain customers and make money? If it sounds too good to be true then is probably is! Use your common sense. Try to learn from established experts and those who you feel you are able to connect well with. How do I get started trying to make money online? First of all I want to differentiate between making money online and building a real business. I have discovered that those wanting to just make money online are usually hoping for some get rich quick scheme that will make them loads of money with little if no work at all! If this is your mindset then you will waste lots of time looking for the one system that will provide you with what you hope is possible. You might be lucky but your source of income will be based on luck and usually this is not something that you can repeat. This is why there are so many “new” systems – someone tries something, they get lucky and sell their method to others. But people who buy it often can’t repeat it. Be careful of any “new” system for making money. There are systems and methods that work – try something that is already proven by many and then tweak it and make it your own. So you need to decide what it is you are looking to achieve – a real business that requires work and effort as would any business or hoping that some system will make you loads of money. Finding out what people need and then creating a solution to that need! So how do you start? By looking to see what need you could meet. In other words what in demand niche do you already have knowledge and skills in? Or what in demand niche are you willing to become an expert in? Is there any software that automates everything? Automation is good but you can’t automate everything! There are some things that you have to do yourself. People don’t want to buy from a robot! They want to buy from a real person that they trust. Therefore too much automation is a bad thing. There is plenty of software out there that can automate a lot of your online business – however, they are not always good. There is article submission software – but Google considers this spamming the search engines with the same content. There is automatic sydication software – again Google considers this unnatural link building activity. If you are talking about push button software then you will find that too but does it actually work? Could you rely on it to bring you revenue long term? I doubt it. It is more likely based on luck. I would stay away from automation software. The only thing I automate is sending emails to my list using an auto responder – but these are relationship building emails not spam. I also use TwitterFeed to post updates to social media sites – which is in line with Google’s recommendation. Starting an online business is scary if you don’t know what you need to do. The best advice I can give you is to stick to one system or proven method and give it at least 6 months before deciding it doesn’t work for you. In those 6 months you need to be honest with yourself and ask yourself “did I really put the effort in?”. A business doesn’t just appear overnight. It requires effort. However, there are some things that you need in order to give yourself any chance of success. Make sure you have chosen a profitable niche – one where people are already buying so it is proven to be profitable. Make sure you are willing to do what it takes to get results – there are no quick rich schemes – forget chasing after them. Change your mind set and become a seller rather than a buyer. Visualise your business – what does it look like, how many products do you have – think big! Aim high. Make yourself accountable to someone. It can be family, friends or online contacts. Get help from someone you trust. Buy the training or coaching you need. Read as much as you can and learn and take action. Being busy is not necessarily being productive – only do the things that bring you closer to your ideal business. How to make fast cash? If you are looking to make money quickly then the best way to do this is to offer some kind of service through Fiverr. You could offer to write, transcribe, bookmark, tweet – there are lots of things that many internet marketers want help with and they will outsource it to people on Fiverr. However, if you want long term revenue then starting your own online business selling information products is what I recommend. It will take time but will be far more reliable and profitable. Why can’t we just obliterate our competitors! To get rid of all the competition would be the easiest way to increase your own chances of business success. However, competition is good. It keeps us on our toes and stops someone having a monopoly! The best way to compete is to know exactly what it is you offer and whoneeds what you offer. I have recently been reading one of Richard Branson’s book and he claims that you can always compete when it comes to customer service! You can always do it better than your competitor. If you were your own customer what would you be looking for if you could have the best experience ever? Another way to compete is to get specific. Become an expert in something really specific – really narrow it down in your niche. Focus on it and become the best at it. Choose an area that none of your competitors are claiming to be THE expert on. Or choose any area but do it differently – create your own blueprint! This will virtually eliminate the competition. No one will do exactly what you do or in the quite the same way that you do it. Another way to look at your competitors is to see is there could be a beneficial relationship between you. If you have one area of expertise and your competitor has another then you could combine your skills and become a partnership. You know, sometimes we can know too much and get bogged down with all the information and not know which way to turn. I find that people with no internet marketing experience can learn with fresh eyes and take things on board much quicker. So starting again from scratch can be a good thing. Besides the internet is for ever changing and therefore it is always a good idea to take stock and re evaluate any business model. The model I follow and teach (A.C.T.I.O.N blueprint) is a proven model and continues to work. The way you decide to implement it is up to the individual – I would strongly recommend that you make it your own – tweak it but only after you are getting results. To start again fresh I would recommend my 13 week program where you will learn what to do each week and have an action plan to complete to make sure you are on track. Provide content that is helpful and demonstrates your expertise. Add a resource box or sentence offering more help and your free gift. Add a link that sends them to your squeeze page. The key thing is to offer help and build a relationship of trust. Can I use GetResponse without a website? Signing up with GetResponse is very easy. You can get a free trial if you click here. There are tutorials on how to use the system. However, you would not be able to use it without a website. You need somewhere to place the code to create a form for people to fill in so that they can sign up to your email list. (look at my form on the sidebar). This is necessary because you need peoples permission to send emails – or you are doing so illegally. You could use a free website platform like blogger to put your web form code on. Without that form you have no way for people to sign up. Basically emarketing is marketing using email. You would need an auto responder account (Aweber or GetResponse) to do this so that you can send out emails to people who have agreed to sign up to your email list. It is very important to keep within the law. Your emails can be scheduled to go out at specific time intervals or you can send a broadcast message which gets sent out to everyone on your list at the same time. Anyone who signs up to your list after your broadcast will not receive that message. Using email to market your business has proven to be one of the most effective ways to make sales. Read my post here for the evidence. The important thing is to use your email marketing efforts to build trust and develop a real relationship with your subscribers so that when you promote any products they are happy to buy from you. Driving traffic is about attracting prospects who are interested in what you have to offer. You need to identify real people and real needs rather than focus on traffic. Traffic is a hot topic because there are so many ‘new’ techniques that promise outstanding results. In the end you have to find the best way for you and your prospects. For example, if your ideal customer never watches videos then YouTube marketing is not going to be any good for you. If you hate writing then content marketing is going to be very hard for you. However, the truth is that any content you create online whether video, audio or written is content marketing! Find out where your ideal prospects are online. Which forums do they visit? What websites do they visit? There are the places for you to go and begin to build relationship with them. Traffic is not about numbers it is about quality – traffic that will convert to buyers. Before deciding how to reach targeted potential customers you need to have a clear idea of who your ideal customer is. What are their needs – wants? Can you provide a solution to that? Once you know who you are targeting then you can begin the process of getting visibility and awareness to your business. This is what internet marketing is all about – effective marketing on the internet. If you were your ideal customer where would you go to look for help? Would you do a Google search? Would you visit a forum? Would you ask a question on Yahoo Answers or another similar site? The place or website that you end up is the very place that you need to build a presence – if possible. Sometimes it is not possible so look for sites that allow interaction or ask the webmaster if you could write an article on there. Don’t ignore your own site though – add content to your own site so that over time it will build up it’s own authority and become one of the places that your prospects visit. It is the same with social media – for example, find Facebook groups related to your niche, or twitter groups. Offline – look for magazines in your niche and see what adverts are in there – if there are competitors adverts then you can be pretty sure that the advertising is effective especially if they have run adverts in the magazine repeatedly. Here is a video I created that talks about creating a sales funnel system and what you need and how to go about it. How can I decide what niche to focus on? When you have lots of interests it can be difficult to narrow down what area to focus on. However, it is also a benefit too! You have lots of ideas to research about and come up with one that looks the most profitable! Usually people have no idea! So write down a list of the things that interest you. Next to each one write down any skills or experience you have. Which ones stand out? Which ones do you have the most knowledge about already? Which ones do your friends and family ask your opinion about? The more knowledge you have already the quicker you will be able to start creating your own information products. Now for the most important part. Are people looking for help with this and would they be willing to pay for that help? You need to see if this niche is already profitable. Go to Amazon and do a search for that topic. Are there information books about that topic? Are people buying them? Are there any reviews or discussions? If you find that there are lots of people buying information about this topic and there are lots of books written about it then it is probably profitable! Use any reviews or discussions to improve your version! Your information product will provide a solution and you will be able to compete by adding to your product what is missing in those already out there. Feeling that you have nothing original to offer people is a common belief. However, it is simply not true. Go to Amazon book store and type in a topic related to your business niche. How many books have been written? How many of those books contain information that is similar or identical but has been written in a slightly different way – with a slightly different emphasis? With a different perspective? Every book has something worth while to offer – one person may read one book and gain a small amount while another person might read that same book and have a life changing experience! Everyone has something of benefit to offer. You know things that others don’t – use that as the starting point for your own product. Other people may have already produced the exact same product subject as yours – but it won’t contain the exact same experiences that you have had and can share with others. This is one of the reasons why I recommend creating audio products – no one will speak or share information in the exact same way “voice” as you do! Any means that someone can communicate with you directly. The medium that you choose for your coaching program depends on your preferred method and your own circumstances. An easy coaching program is one where you send out lessons each week that helps your clients to achieve what they want to in your niche. They can then access you to discuss their progress and get feedback. It is always a good idea to give assignments to keep them on track to getting results. The access to you could be weekly, monthly, or whichever frequency is most suited to your particular niche and clients. You could have more than one type of coaching program where clients have one on one access or group access. Another easy way to coach is to offer a live call each week where you answer questions and provide a specific training. 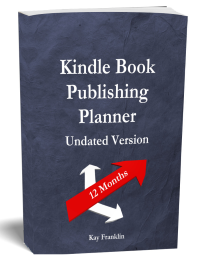 Writing an ebook shouldn’t take a long time is you use a proper outline. This is how you can create your own ebook quickly using an outline. What are the best items to produce/create? Whatever product you create it must be something that you know people are looking for help with and will pay money for it. There must be a need and a demand. Ideally you need to create something that someone needs in a way that they want! For an internet business the best products to create are information products because that is why people go on the internet – to look for information. Therefore your products will be in digital format so that they can be downloaded. People also want what they buy instantly! You can combine them and package them together in any way that you like providing it creates something valuable and beneficial to the end user. 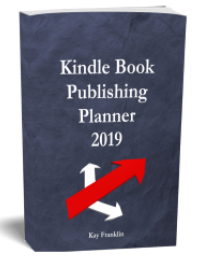 How can I write an ebook that sells without being an expert? 1. Outsource it to someone who is an expert or who is willing to do the research to gain the knowledge to write the ebook. 2. Purchase the resell rights to an ebook so that you can then sell it. 3. Combine some article with the rights to use them and compile them into an ebook. However, if you want to build an information business then you really need to start writing yourself. You need to be the product creator, the writer of your own work. That is how you get known, build your credibility and become a competitive force in your market. Coming up with ideas for products can be difficult. However, the most important thing is that you have an idea that will be profitable. Your product idea must be something that people want and will pay for. You might have lots of ideas but if no one buys your products then you won’t make any money! So you need to find out what products are wanted and needed first before you spend time creating one. With an information business you are creating products that solve a specific problem or difficulty that someone is facing. It doesn’t what niche you are in, it’s the same process.